Every morning and every evening, the National Weather Service office in north Fort Worth sends up a weather balloon, carrying instruments to measure the temperature, humidity and pressure as it rises through the atmosphere. And by tracking the motion of the balloon, they can also deduce the winds in the upper atmosphere. This is a vital service, since the atmosphere is three-dimensional. Just knowing what’s happening at ground level isn’t good enough. We really need to also know the state of the atmosphere miles over our head in order to have the best chance to come up with an accurate forecast. Sometimes, we take those twice daily weather balloon launches for granted. But something happened this evening that really made me think. The NWS noted that the balloon made it up over 100,000 feet and it was still almost directly overhead! Usually strong upper level winds will sweep a ballon miles away before it reaches that height. They even mentioned that just before 8pm, they could still make out the balloon with the naked eye, almost an hour after its launch. In fact, as the ballon rose, and expanded (due to the much lower atmospheric pressure outside of the balloon) it reached an altitude of 105,000 feet before the balloon popped. At that height the atmospheric pressure was only 9.18 millibars. Normal pressure at the surface is 1013.5 millibars. There’s not much air up there above 100,000 feet. No. Not that Jennifer Lopez. Not the movie star and singer. The Jennifer Lopez that we are excited about is a meteorologist. Jennifer was born in St. Augustine, Florida, and spent much of her childhood there and in Jacksonville, just to the north. She has two degrees, one in TV journalism from Florida, and another, a BS in meteorology from Florida State. For the past eight years she has worked at The Weather Channel, where you are undoubtedly familiar with her work, if you have ever been even a casual fan of that station. I have admired her work there for years, and was thrilled to learn that she was interested in the open position of morning meteorologist here at NBC5. Jennifer’s husband flies for the Navy, and his squadron was recently transferred to the Fort Worth Joint Reserve Base. So a move here made it much easier on her family. (She has two children, aged 3 and 5). Jennifer started work here last Monday, but her first week was filled with paperwork, photo shoots, and training on our various computer systems. But Jennifer will start on the air on Monday June 23rd. And I know she will do a great job, and that our viewers will take to her quickly. I already knew of her professional competence. But in our first week together, I have also learned that for someone with national broadcasting experience, she has no big ego problem (as some national broadcasters do). She is friendly and down to earth, and I am very pleased to have Jennifer join our weather team. I know that James and Steve are also very happy to have her here. We have been short-handed in the weather department for several months, and have all worked a lot of extra shifts and extra hours. We are very glad to be back to full strength. So welcome to Texas, Jennifer. I know you will like it here. The Story Behind The Pictures…. 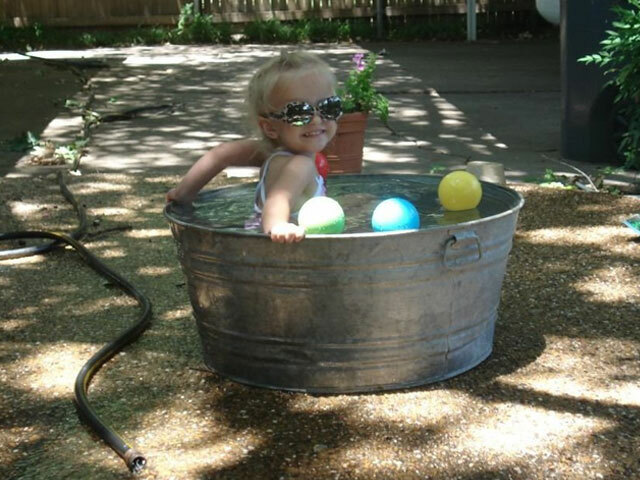 You often hear us ask viewers to send photos to iSee@nbc5i.com and today this picture of a little girl cooling off in a tin tub caught our eye. We thought this photo would be a great way to remind people about the Summer Solstice tonight at 6:59 p.m. CDT. So we decided to ask the sender for more information about the little girl. Yes, you may use my granddaughter’s picture (aaaah, summer time…) on your broadcast. I have just spoken to her mother and she says, “Okay”. Our angel’s name is Kiki, she turns 3 the end of July. The photo was taken about a week ago in Dallas when she was visiting her grandmother whom she calls Nana. Kiki is our miracle baby. Her birth was at approximately 27 weeks, she weighed in at less than 2 lbs, she could be held in the palm of one’s hand, her twin brother passed away after a valiant fight. After some SCARY times, she is doing fine. We love her VERY much. If you do refer to me, please use “Papa” which is what she calls me. 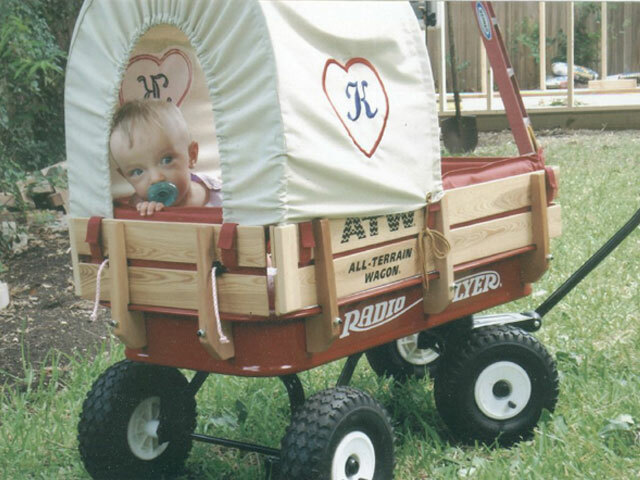 The attached photo is of Kiki at about 1 year old while she was out on a voyage of discovery. 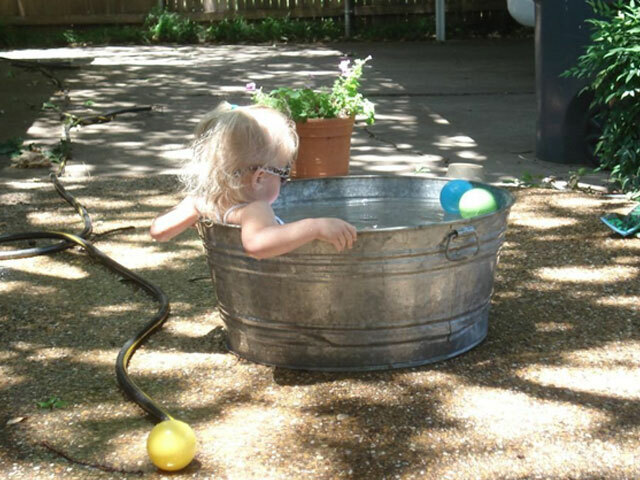 We’re so glad we asked about the little blonde girl cooling off in a tin tub, and we wanted to share Kiki’s story with you. We can blog about pretty much anything we want here at nbc5i.com; anything we find interesting or curious or fascinating; anything we think you’ll want to read about or answers to questions you may have; or just thoughts that we’re having that we may not have time to get to during the newscast. The only stipulation for us meteorologists is that it is has something to do with weather. As long as we try to stick to that a little, we are free to have some fun or be creative or just rant. Week after week I get some brilliant (sometimes) idea that I think will be perfect to blog about. Some weather fact that will open the door to talk about a hundred other things under the guise of being pure science. A way to express all these thoughts that may have very little to do with weather with just enough weather to justify my blog. But for the last couple of months, every time I try to do something new or clever, I keep getting pulled back to the same place. Just look through the weather blog archives and you will see a crystal-clear pattern. I can’t get away from the stats; the numbers that frighten and alarm me about our changing climate. The records that continue to fall night after night and the distance that keeps growing between our “average” temperatures from the last thirty years and the reality of the last few years. I am not trying to be repetitive, but each week, new numbers come in and I want to pass them along to you. Before 2008, we have never, ever, ever, ever seen a low temperature at or above 80 degrees in the Metroplex in all of May or the entire first week of June. The earliest 80 degree low in the history of North Texas was June 9th and that happened once back in 1995. Even 2006, which was the hottest year on record for this part of the country stayed below 80 degrees at night until after June 9th. But this year, including the fourth record low in as many nights on Sunday morning, we are now incredibly up to 6 days where the low did not get below 80 degrees. That means as of June 8th, we now have broken that record 6 times over; the first record being set on May 23rd, 2008 and the hottest morning being last Thursday when our morning low was 82 degrees. This year we have not hit 100 degrees yet and that is great news. But we have already hit 90 or better 22 times and we have now set an astounding 16 records for warmest low temperature or warmest high temperature and we have only just begun the second week of June. Another run for the record books for DFW. Sunday morning’s low of 76 tied the record warmest low temp on that date. Tuesday, our high will be very close to the record of 100, set way back in 1913. In fact, all of our record highs for the first three days of June were set back in the 1910-1913 years. No one had thought up global warming yet, I wonder what they blamed that heat wave on? Summer officially begins in about three weeks, but we are already stuck in the second heat wave of the season and this upcoming week will only get worse. May began with relentless severe weather, but when the spring storms ended, summer moved in fast. The average temperature this May (high and low from each day averaged out over all 31 days) was 77 degrees. That makes this May the 8th warmest on record. The hottest May ever was in 1996. So far this year the average temperature has been 61.2 degrees, the fifth warmest on record. 2006 is the warmest ever. And over the last 365 days, the average temperature was 68.6 degrees, the fourth warmest on record. During that same period (June 1st to May 31st) in 2005 to 2006, we had the warmest temperatures ever. 2006 is still the hottest year on record for North Texas. We broke 4 daily records this May for the warmest overnight low temperature; two of those being 80 degrees which has never, ever happened as early as May before. We also saw a record afternoon high of 99 degrees on May 19th. The rain essentially stopped the last two weeks of the month. DFW saw 2.21″ when a normal May brings in over twice as much: 5.15″. While the last year has seen beneficial rains, we are now slightly below normal for 2008. By this point we should normally have 15.68″ of rain and we have seen only 14.70″ with no rain in sight for the next few days as we prepare for our historically dry season. The next seven days could see seven new records. Daytime highs will not reach record levels, but every single night this week, our low temperature will be very close to the record for warmest overnight low temperature. For example, if the record low tonight is 77 degrees and we drop to 78 or higher, that is a new record. We tied the record of 76 degrees on Sunday morning. Visit the other NBC 5 Blogs by clicking this icon.